Wow. 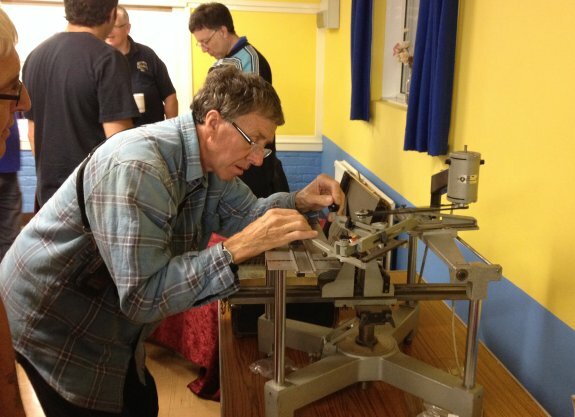 Another very busy Skills Night at the Village Hall in Danbury this evening – A total of 72 people signed in, comfortably beating all previous records. Thanks to those who made the trip from far and wide – including a group from our friends from the MARTS club in Kent, and two visitors making the trip from Ipswich after seeing the online promotion. Also great to see a good turnout of Foundation and Intermediates – We counted 18 of you, as well as 8 guests (many looking to join the hobby on one of the county’s upcoming Foundation courses). Chris M6EDF took a break from high altitude ballooning to bring along a selection of test equipment, including scopes, RF power meters, power supplies and all sorts of gadgets – handy for anyone working on construction projects. Lots of interest at this busy table. Thanks to Peter G0DZB (whose Christmas jumper features in the next RadCom!) 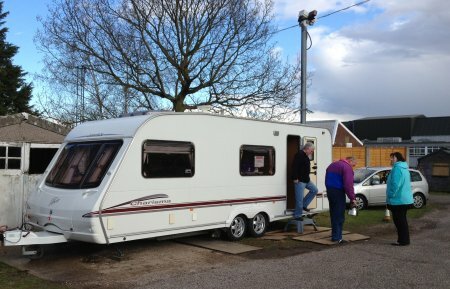 for bringing along an array of kit and antennas, plus his trusty Elecraft – Another very popular corner again. Some serious multi-tasking from Charlie M0PZT this month – not only offering to program repeaters for a huge range of devices, using is new multi-connector cable, but also demoing Arduinos – including a Morse Keyer program and a demo of repeater logic, which nicely demonstrates simple input/output and timing routines. Thanks to Selim for traveling over from the West of Essex to put on a 4m metre station. Sadly, S9 of noise on 4 metres, meaning that we couldn’t hear much on 70MHz, but people could hear Selim, with reports coming in from quite a distance – apparently we had a pile-up, but couldn’t make out anything through the noise. We’ll look to have a re-think and try this one again at a future Skills Night. Getting started on HF, especially with limited garden space, is always a minefield, but Carl G3PEM (plus trusty whiteboard) was on hand to help with questions. 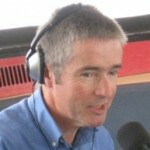 He also was able to offer help on contests and awards, following on fro his recent talk at CARS. Thanks to Rob M0KCP and others from the Essex CW Club for the night’s demo. 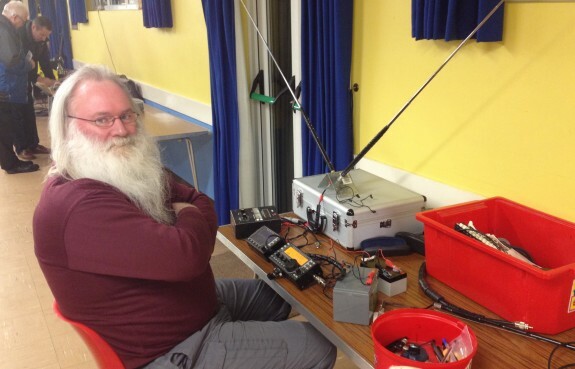 A station receiving CW on 40, plus a selection of keys for people to have a play with. 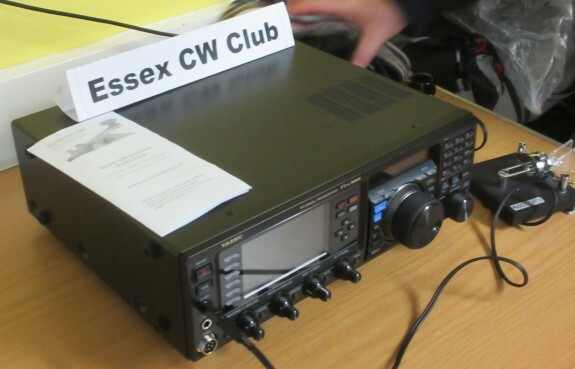 You’ve have thought everyone now had a callsign badge, but Jim 2E0JTW’s machine was humming away, showing there’s still demand – We gather Jim may be at the Canvey Rally if you missed him tonight. CARS Chairman John G1UZD announced a couple of upcoming CARS club events, including the SOS Radio Weekend (this coming weekend at the Marconi Sailing Club in Steeple), the next CARS club talk (The Northern Lights on the 3rd of February), and the Canvey Rally on the 1st of February. 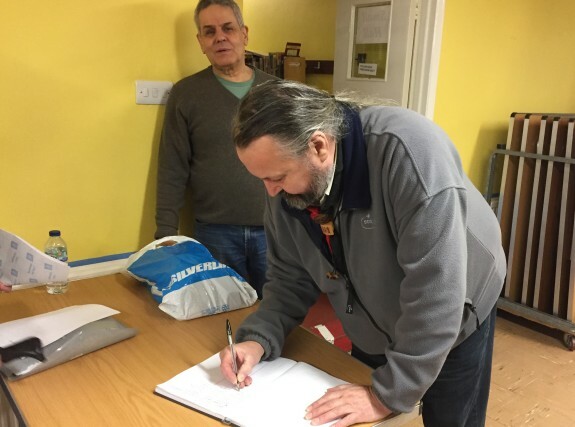 Well done to James 2E1GUA for manning the CARS table single-handed and allowing CARS members to renew their membership. 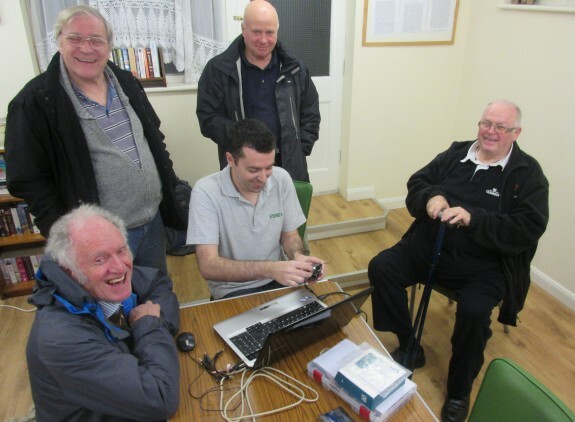 Great to have several members of the Essex Repeater Group on hand to help with queries too. 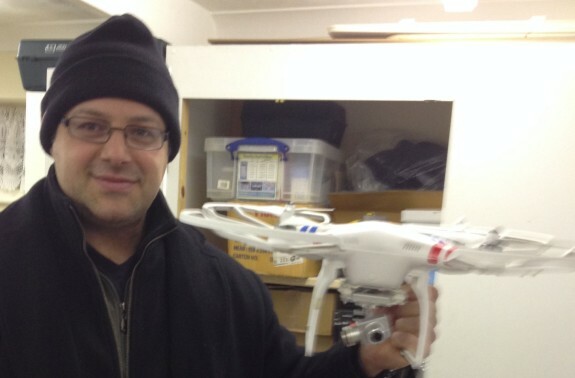 Special thanks too to Aydin M6WYZ for returning with his awesome “toy” – the Phantom II drone. Towards the end of the evening, the hall emptied to watch Aydin send his quadcopter on a circuit of Danbury (tracked with GPS and onboard cameras) – an amazing craft, and a superb end to the night. Thanks to everyone for the ongoing support of the Skills Night, and thanks to CARS for hosting the event. It was another good night. After seeing the 4 metres on disply i’m going to dig my transverter out again and see if I can get something in the log. Always great to see Aydins drone flown around Danbury. 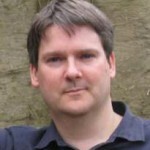 No Echolink demo from Jim tonight? I had a look around but didn’t see any familiar callsigns. Si.. VA3SII G7HCD Woodstock Ontario other side of the pond. My first skills night. Well done & thanks. Well done. Good turnout. 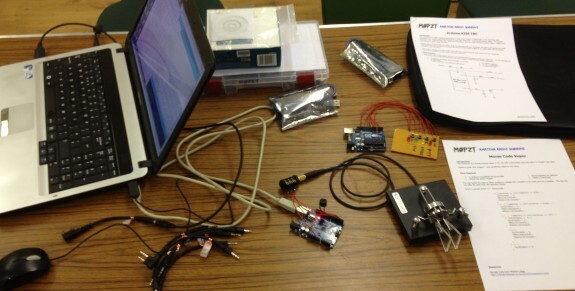 However sad to see Rasberry Pi not there, average age 50 + , vital to get the young involved and that’s the way to do it. A real drive is needed to involve the young rasberry pi and apps seems to be the way forward. This time we had some Arduinos being demo’ed by Charlie… Did you get a chance to have a look at those? 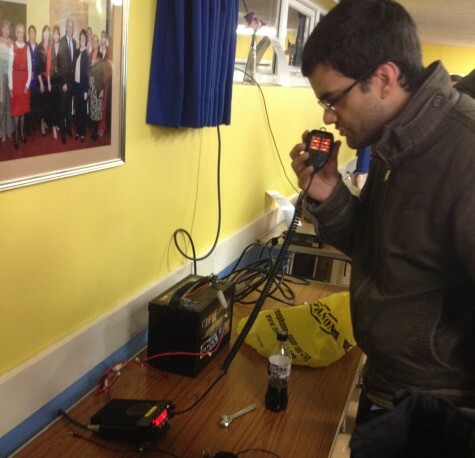 I know this was a while ago now…but yes, i was hoping to demonstrate 4m every month from Danbury Village Hall. But i found that there was S9+ of noise which was wiping out the band! I think it affects HF too up there. 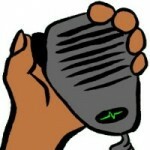 Pete M0PSX said that someone is voluntarily is trying to trace the interference and if found, hopefully eliminate it. If it can be successfully found and eliminated, then I would be happy to come back to skills night. There is no point doing it if something is stopping me from receiving anything, where I had many people coming back to my calls while I was there. I really would like to do this again, i hope i can return someday.